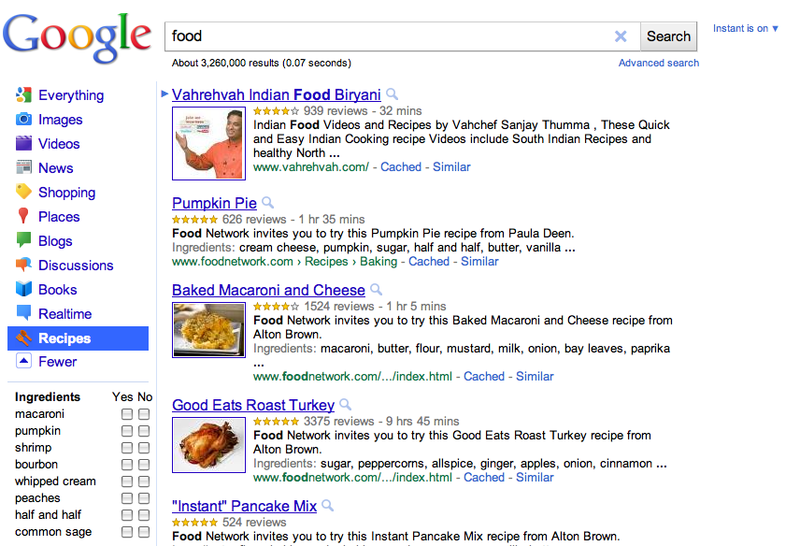 Google has added “Recipes” to its list of links available from the search engine’s left rail. Will a Recipes link increase traffic to recipes sites like these? This entry was posted on February 27, 2011 at 6:52 pm and is filed under Recipes Gets Its Own Link On Google. You can follow any responses to this entry through the RSS 2.0 feed. You can leave a response, or trackback from your own site.